Brazil’s biggest miner and the third largest company in the global mining industry, Vale S.A. has a long history of environmental crimes and man-made disasters. The company is responsible for the collapse last Friday of the Mina do Feijão dam in Brumadinho, Minas Gerais, the death toll of which has reached 110. Hundreds are still missing as firefighters continue to search for bodies and survivors amid the toxic mud flow that has already traveled several miles. The Brumadinho dam burst only three years after another environmental crime in Minas Gerais state resulted in the collapse of a dam in Mariana that belonged to Samarco, which is co-owned by Vale and BHP Billiton. Approximately 62 million cubic meters (roughly 2.1 billion cubic ft) of mining waste were sent down the Doce river and 19 people died. After the Brumadinho tragedy, a Minas Gerais court freezed R$11 billion (nearly US$3 billion) worth of Vale assets to pay for damages to the people who were affected by the collapse of the Mina do Feijão dam. The Brazilian environmental agency Ibama fined the mining giant R$250 million (roughly US$67 million) for violations over the burst. Those penalties, however, are nothing compared to the company’s huge profits. After a corporate reorganization plan approved in 2017, when Vale implemented new market and dividend policies, its shares went up 83 percent. In 2018, Vale reached its highest market value in seven years, around R$300 billion, or US$80 billion, overpassing Itaú bank and Brazil’s oil giant Petrobras. In October, the miner reported that it yielded a net profit of R$5.75 billion – roughly US$1.5 billion – in the third quarter last year, hitting a new iron ore production record high: 104.9 million tons. But after the environmental crime of Brumadinho, its stock plunged 24 percent, and the miner lost US$19 billion in market value. While Vale boasts itself for fostering values such as “prizing our planet” and “doing what is right,” reports of contamination as a result of Vale operations are not unusual and have been denounced all over the world even before the catastrophic social and environmental impact it had in Mariana and Brumadinho. 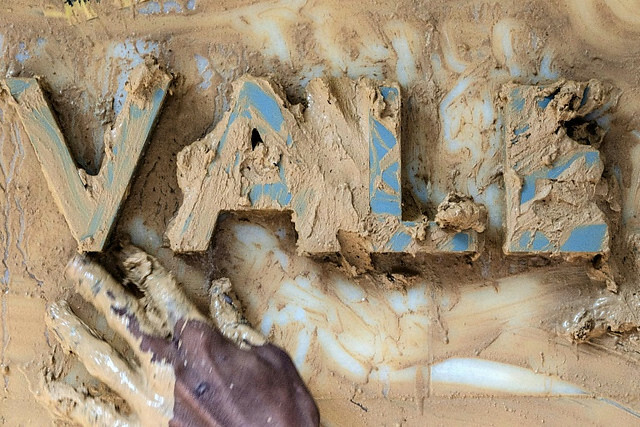 Vale’s mining operations have a global impact. In Peru, Mozambique, and New Caledonia, it has been continuously denounced for air and water pollution. One example is its phosphate fertilizer production operation in Piura, Peru, where members of the San Martín de Sechura community have denounced that Vale did not hold previous public consultations before starting to operate, in violation of Convention No. 169 of the International Labor Organization concerning indigenous and tribal peoples. The dispersion of particulate matter as a result of its mining activities in the area has been impacting human health, fishing activities, and the local ecological balance. Established in 1942 during the Getúlio Vargas administration as a state-owned enterprise to mine iron ore in the Itabira area of Minas Gerais state, today Vale is a publicly-traded company operating in 13 Brazilian states and 30 countries around the world. One of the most profitable state-owned companies in Brazil at the time, the old Companhia Vale do Rio Doce was sold on May 6th, 1997 during the Fernando Henrique Cardoso administration and became Vale. Thousands of workers were laid off after its privatization.